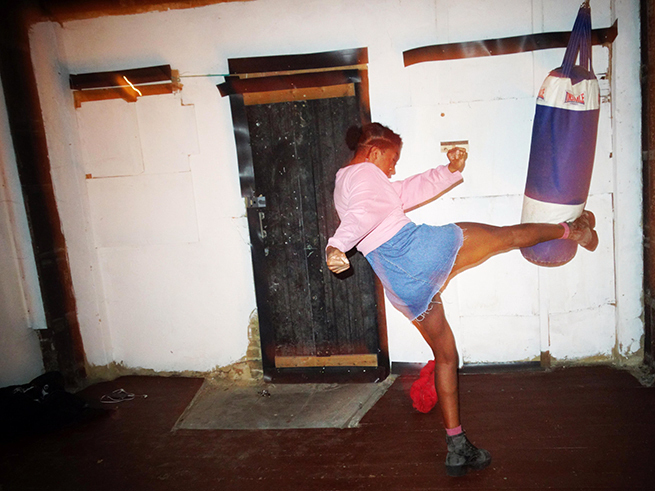 Shadow Sistxrs present a physical and metaphysical self-defence class for women, nonbinary people and QTIPoC witches. Combining Brazilian jujitsu with medicinal and magical herbalism, Shadow Sistxrs meditate on craft, culture and collective bodies as a radical and holistic approach to healing. Shadow Sistxrs are ICA Social Creative Network residents. This session is a precursor to an upcoming series of self-protection workshops Shadow Sistxrs are running in September. Shadow Sistxrs Fight Club is run by Ayesha Tan-Jones and Monique Etienne. ICA Social Creative Network is a digital project connecting young people with the Institute of Contemporary Arts. The Social Creative Network is curated exclusively by and for young people and is designed to create an enabling network for those who believe in the power of the arts and creative industries to make positive change in the world.